simplicity and ease of processing. 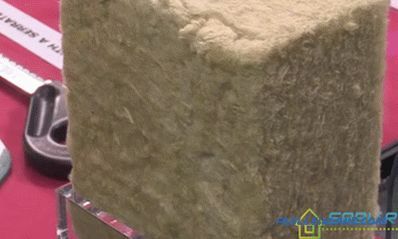 When finishing the buildings, the walls of aerated concrete blocks are covered with a layer of plaster, due to which it is possible to get rid of such defects of porous material as poor moisture resistance and a nondescript appearance. 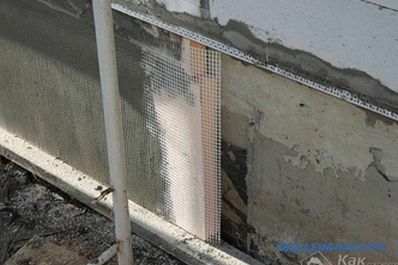 But before plastering aerated concrete, you will need to familiarize yourself with another feature of this material, which allows you to maintain a healthy microclimate inside the building. 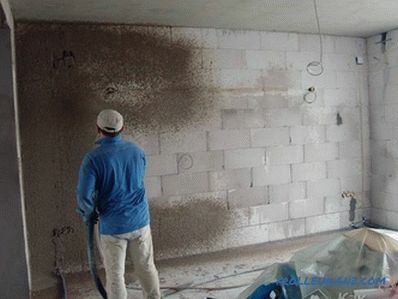 The fact is that this material has a good vapor permeability, the effect of which can be maintained only in the case of proper selection of the composition of the plaster and the thickness of the finishing layer. differ in vapor permeability as well as resistance to severe frosts. Most modern plaster mixtures designed for finishing cellular materials fully comply with all the listed requirements. When choosing a suitable plaster for your conditions, first of all pay attention to the special markings applied to the bags with the dry mixture and indicating that they can be used to work with cellular structures. The price of such mixtures is slightly higher than the cost of conventional finishing compositions, but in this situation one should not try to gain something, since any attempt to save could lead to unpredictable consequences. 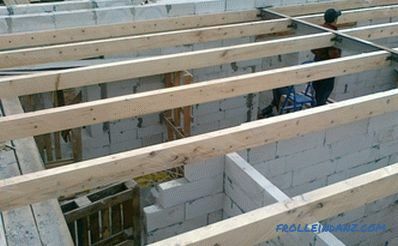 Immediately before plastering, the surface of the blocks must be thoroughly cleaned from dirt. After this, you should correct all visible defects of the seams. 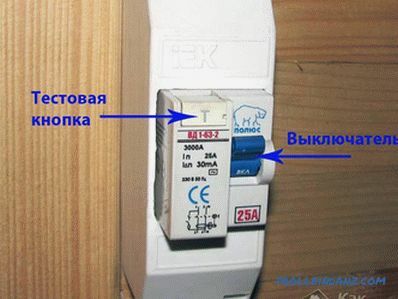 In this case, you can use small fragments of insulation and mounting foam. The walls prepared for finishing are then covered with a layer of special putty. 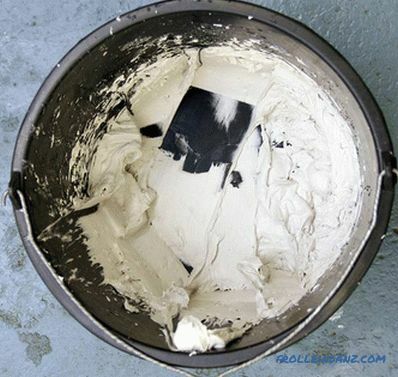 Immediately after it dries, you can start priming the surface of the blocks. And only after the primer is completely dry can one proceed to plastering the walls. To do this, they are applied a layer of plaster prepared in the desired consistency, which is then carefully leveled along the entire surface to be treated. 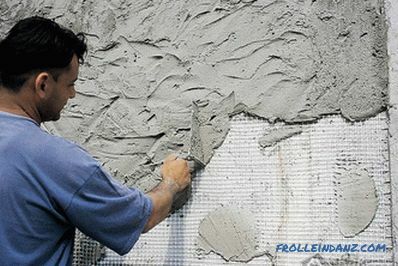 After a light setting of the mortar with smooth smoothing movements of the grout, the surface should be completely leveled (having previously moistened it with water). First of all, the surface of the facade is treated with a special primer composition specifically designed for cellular concrete. After that, a small layer of mortar is applied to the wall. Then a glass fiber reinforcing mesh is pressed into the solution. After that, you can start finishing the facades with a pre-prepared plaster mixture that has a high vapor permeability index. The thickness of the applied layer should be about half as much as in the case of internal plastering. All operations for the final leveling of the plaster layer are carried out in the same way as the interior. Procedure of work the finishing of the facades is somewhat different from the generally accepted one, since the plastering of aerated concrete blocks from the outside can be started only upon completion of all procedures related to interior finishing and after complete drying of all coatings. 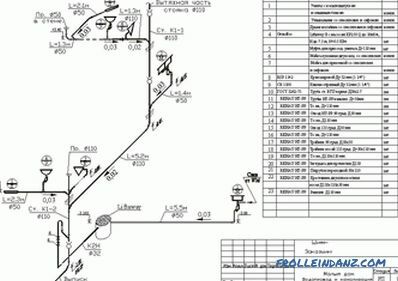 It is not difficult to understand the reason for such an order of finishing.The fact is that residual moisture, which is always present in the finishing mixtures, during evaporation can form condensate that accumulates on the outer surface of the blocks. Its freezing at low temperatures leads, as a rule, to detachment of the plaster applied on top of it and to the destruction of the entire coating.